A federal prosecutor in Boston said Monday a drug company founder was driven by greed to bribe doctors around the country to prescribe a highly addictive fentanyl spray. The wealthy founder of a drug company plotted to bribe doctors across the country to prescribe a highly addictive fentanyl spray in order to outshine competitors and line his own pockets, a federal prosecutor told jurors Monday. Assistant U.S. Attorney David Lazarus said John Kapoor was so determined to make Insys Therapeutics Inc. a success that he turned it into a "criminal enterprise" to get the powerful painkiller in the hands of more patients. "This is not a complicated case. 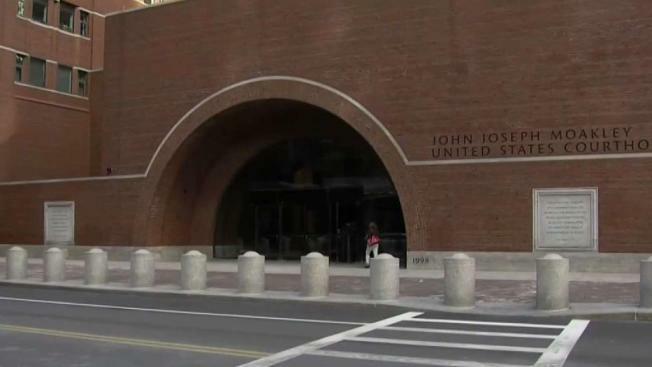 It's a case about greed — about greed and its consequences — and what happens when you put profits over people," Lazarus said as the closely-watched trial opened in Boston. The 75-year-old and four other former employees of the Chandler, Arizona-based company are accused of paying doctors millions of dollars in bribes and kickbacks in order to boost sales for Subsys, which is meant for cancer patients with severe pain. The bribes were paid in the form of fees for sham speaking events that were advertised as educational opportunities for other doctors, prosecutors allege. Kapoor's lawyer told jurors that Insys was open about its speaker program and even reported payments to doctors online. Paying doctors to teach others about a medication is not illegal and is a practice widely used by pharmaceutical companies, Attorney Beth Wilkinson said. "There was nothing illegal about that and there was certainly nothing secret about that," Wilkinson said. She said Kapoor was motivated not by greed but by a desire to help people dealing with excruciating pain. Kapoor watched his wife suffer from breast cancer and was driven to provide other patients with a chance at relief, she said. "He did not want that to happen to anyone else," Wilkinson said. Wilkinson also sought to discredit the government's key witnesses: two former Insys executives who pleaded guilty and are cooperating with prosecutors. Former sales executive Alec Burlakoff was the one cutting "side deals" with doctors and is willing to say anything prosecutors want him to in order to help himself, she told jurors. Kapoor and the other executives are charged with racketeering conspiracy, which carries up to 20 years in prison. The case is being led by longtime federal prosecutor Fred Wyshak, who has won convictions against Boston crime boss James "Whitey" Bulger and other powerful mobsters. The trial could last more than three months. Patients say in a slew of lawsuits filed against the company that they were given high doses of the potent narcotic even though they didn't have cancer, weren't warned of the risks and became addicted before suffering through withdrawal when they were cut off. Prosecutors say Insys executives targeted doctors at pain clinics known for operating "pill mills" and pushed physicians to prescribe the drug at ever-increasing doses. Insys employees who managed to get doctors to prescribe higher doses were rewarded with bonuses, prosecutors say. Kapoor "demanded success at all costs," Lazarus said. And when the drug wasn't doing as well as Kapoor wanted, "he decided to get the success he demanded by breaking the law," he said.